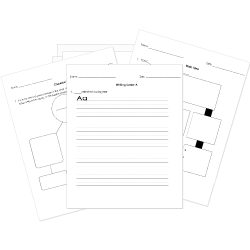 You can create printable tests and worksheets from these Because I Could Not Stop for Death questions! Select one or more questions using the checkboxes above each question. Then click the add selected questions to a test button before moving to another page. In lines 21-24 of "Because I could not stop for Death," how does the speaker seem to feel about the length of time that has passed? In lines 1-8 of "Because I could not stop for Death," death is portrayed as a suitor, or a kindly gentleman, who drives slowly. In "Because I could not stop for Death," time is passing, but it continues to feel longer than the day that the speaker first realized where the carriage was heading. In "Because I could not stop for Death," we now come to the point in the series of Dickinson's poems in which the speaker is finally experiencing their own death .